A view from a first time racer. 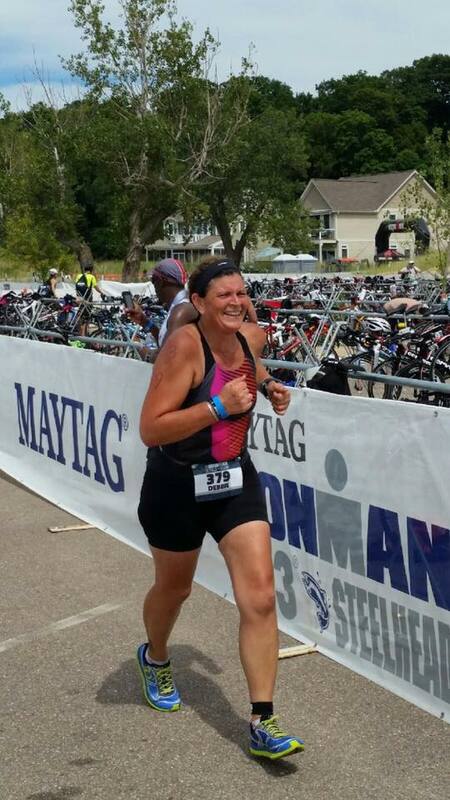 I arrived in Michigan on Friday ,At ironman village, just before athlete check in opened. I had no idea what to expect, I just knew I was excited for my first race experience. After getting checked in , it was on to shop! Wow. So much to choose from! Saturday went back to check in my bike. The village was just buzzing with people now. Got into the water and it was wavy and warm… And was hoping that the wind would stop over night so that I didn’t have to swim thru the waves. Race morning… It was still dark but warm. Got to transition to find out that the water temp had gone up over night and now the race had become a non wetsuit race .. Now a decision had to be made. After hearing the rules about what happens if you wear one, I opted to wear mine .. After all that’s how I trained! The wind had stopped and once the sun came out it was a perfect race day . The wetsuit wave (party wave as the announcer named it) was the last wave to go and had a lot of people in it. There was a lot of splashing and kicking and hitting for the first 500 m, but after that it seemed better. The bike course was great and then the run proved to be hilly. But I told myself this is an ironman race, it’s not supposed to be easy! I finished happy and strong and ready for the next one ! Although I did shed a few happy tears too! I arrived at the race excited and finished happy, and have my coach, Bob Crate, to thank for that. His training plan enabled me to have the confidence in myself. My indoor training this winter , and Friday mornings with Larissa , TCoB team mates and friends, and my friends standing behind me, even though I was mostly MIA while training this summer, has been a part of this journey. I will always remember this race, and the journey to get to the start line. It was a great race!